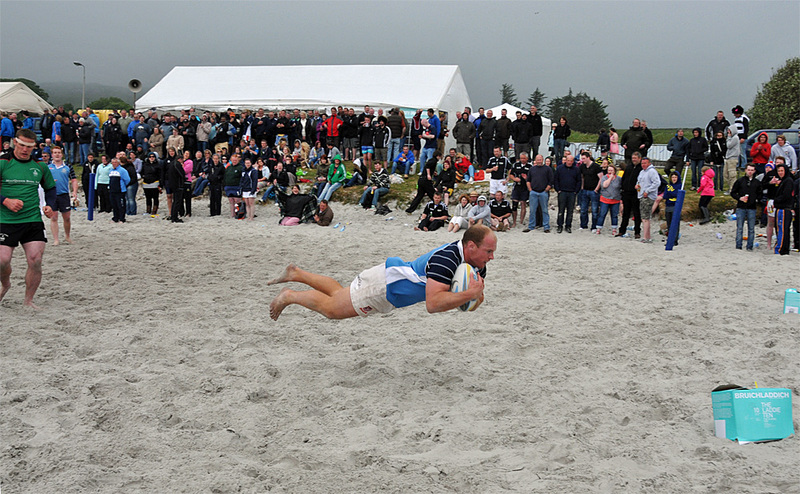 The last post in this series of pictures from the 2012 Islay beach rugby. He was showing off a bit, but here’s an impressive flying try, if I remember correctly this was in the final. I don’t know the players name, but he was playing for the 2012 winners Kilchoman distillery.